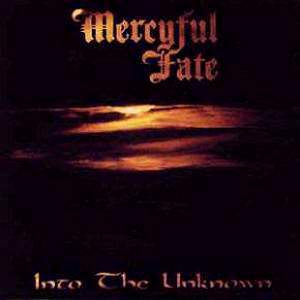 Mercyful Fate is a Danish heavy metal band, and helped inspire black metal (by playing a form of speed metal that introduced black metal elements). The band was founded in Copenhagen, Denmark in 1980 from the ashes of Hank Shermann's band Brats' and King Diamond's band Black Rose. Shortly thereafter, in the Spring of 1981 they helped out a fellow Dane, Michael Denner, with demos for his band Danger Zone. Soon it was apparent that Shermann, Denner, Diamond and Denner's bassplayer, Timi Grabber, fit well together as a unit and those players performed under the Mercyful Fate moniker for the first time in Denmark. 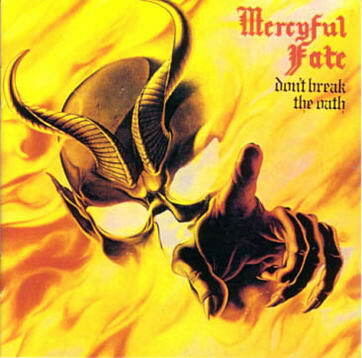 Following their first album (actually a four song EP) the band released two stellar albums: Melissa and Don't Break The Oath. Both albums featured the distinctive sound of Shermann and Denner on guitar, the unique rhythm section of Grabber (aka Timi Hansen) and King Diamond's wickedly evil falsetto vocals. 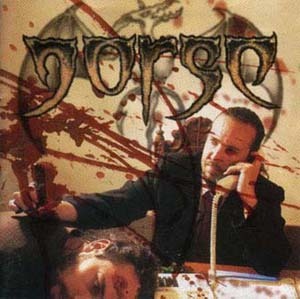 Both albums are now considered to be all time classics in both the Power Metal and Black Metal genres. But sadly the inevitable internal differences forced the band to break up in April of 1985. 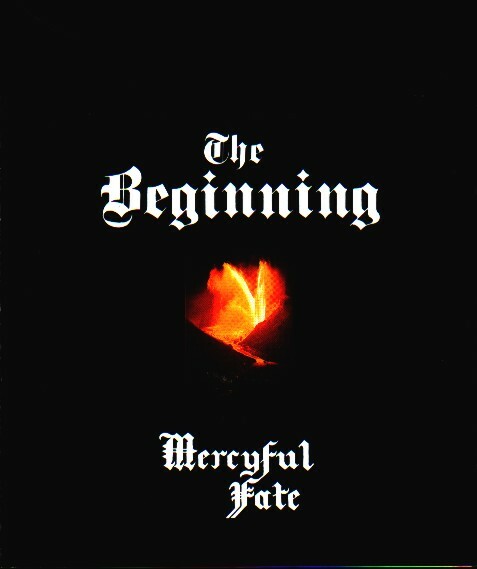 Diamond, Grabber (now Hansen) and Denner formed the King Diamond solo band which continued the heavy, evil tradition of Mercyful Fate, albeit with a more progressive, conceptual theme. 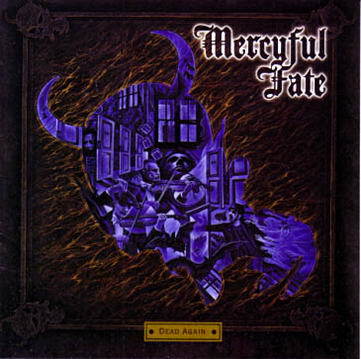 Shermann went towards a more AOR-type approach with his band "Fate". But these Danes always stayed in touch, even helping out in each others various solo performances. 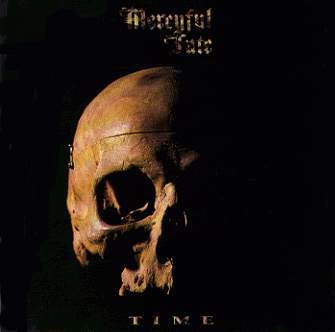 And as the years passed the cult following of the band refused to die off and, in July of 1992 the band reformed and signed a contract with Metal Blade (an independent Heavy Metal label led by Brian Slagel who released the debuts of Mercyful Fate influenced bands Metallica and Slayer). All the original members, minus Kim Ruzz, who was replaced by Morten Nielsen, were back for a second chance. 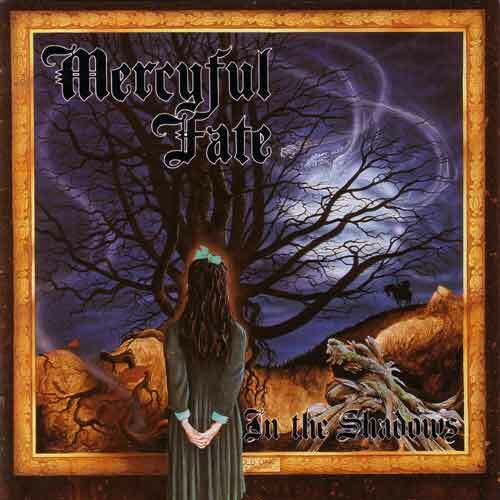 In 1993 they released In the Shadows, and, in the years since have released four more albums; Time, Into the Unknown, Dead Again and 9. As in the past band members have left and been replaced. Michael Denner left and was replaced by Mike Wead, Drummer Nielsen was later replaced by Snowy Shaw who was then replaced by Bjarne Holm, Bassist Timi Hansen left quickly and was replaced by Sharlee D'Angelo. 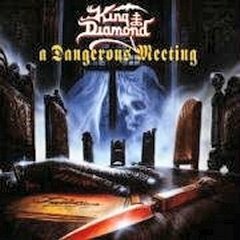 King Diamond has, since the initial split, also kept together a very successful solo band. 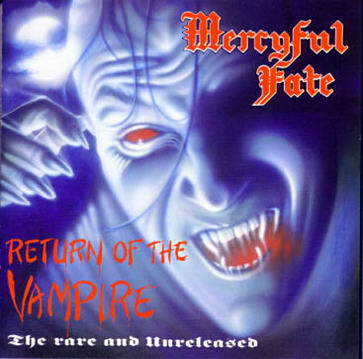 Currently, Mercyful Fate are on a hiatus; the band reportedly still owes the record company one more album, but when it will occur is unknown. 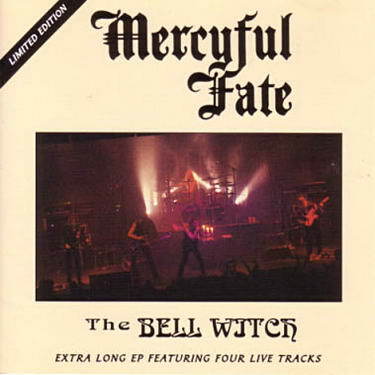 There is also talk of a DVD release of early Mercyful Fate audio and video material which is highly anticipated by the fans of the band. 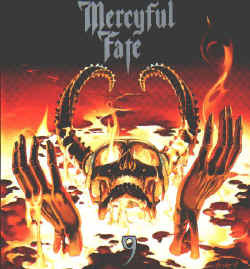 Additionally, Shermann, Denner, Holm and King Diamond solo-band Bass player Hal Patino have formed Force Of Evil, a band that incorporates many of the themes of the original Mercyful Fate.